Exciting news before I start the feature: Dave and I saw our first Short-eared Owl a few weeks ago! We were walking along the Delaware River at Palmyra Cove when Dave spotted a male soaring over the river near some gulls. It was pretty overcast so we didn’t get any good pictures, but we watched it for about 10 minutes before it flew over our heads and into the wooded area of the park. It was amazing! This week’s featured owl is the Barred Owl. Although we have not yet seen one, we did hear a Barred Owl when we hiked at Michael Huber Prairie Warbler Preserve in the Pinelands. Barred Owls are medium-sized owls that are a little smaller than the Great Horned. These beautiful owls are brown to brown-gray on their upperparts and heads. As their name suggests, their necks, nape, back, wings, tails, and crowns feature white/buffy barring. Barred Owls are tuftless with round heads. Their blacks eyes stand out against their gray facial disks. Juveniles have white natal down until about 2-3 weeks when their adult flight feathers start to develop. Resident of the United States from the Great Plains to the East Coast. In Canada, found in the southern regions of Quebec, Ontario, and Manitoba; through central Saskatchewan and Alberta; throughout British Columbia expanding south to Washington, Idaho, Oregon and northern California. Also found in parts of Mexico. Woodlands and wooded swamps, including deciduous, mature conifers, and mixed forests. Also does well in older suburban neighbors with a lot of shade trees. Opportunistic hunters. Mainly eats small mammals such as mice, voles, rabbits, shrews, rats, and squirrels. Also hunts small birds, frogs, snakes, lizards, some insects, and aquatic prey. Barred Owls watch prey from a perch or glide low through the forest. They mainly hunt at dusk and dawn. Sometimes they will hover over prey before grabbing it. These owls usually swallow small prey whole, but tears large prey into pieces. Referred to as a “duet”, mating pairs will court by raising wings, bobbing heads, and calling while perched together. Males may also feed the females during courtship. Scientist are unsure whether Barred Owl pairs stay together in the long term, but pairs begin to form in late winter/early spring. Pairs will choose the oldest tree they can find since they are likely to have large cavities, which Barred Owls depend on. Sometimes they will evict other occupants, such as Red-shouldered Hawks, if needed. Barred Owls may also use nest boxes. The female will incubate a brood of 2-3 eggs for about 28-33 days while the male provides her food. Egg hatching is asynchronous, so the eggs hatch a few days apart. The female will stay with the owlets much of the time while the male feeds them. The young will begin branching (exploring the area around the nest) at around 4-5 weeks and take their first flights at 6 weeks. Extremely vocal and instantly recognizable. Their loud calls, which are typically described as “Who-cooks-for-you, who-cooks-for-you-aaaaaallllllll!”, are made by males and females. Female’s calls are higher-pitched than the males. Scientists have recently started to study a suite of 13 complex vocalizations. Still common and widespread. Their range is expanding into central Quebec. These owls were originally only found in the East, but over the past century have dramatically expanded their range into the Northwest. While this may be good for the Barred Owl, it’s having a detrimental effect on its close relative, the Spotted Owl. The Barred Owl’s most dangerous predatory threat is the larger Great Horned Owl. Barred Owls will try to avoid Great Horns since they usually live in the same habitats. One study done on on Barred Owls in Oregon found that the birds had 95 different species represented as prey items. They mainly are active at night, but may sometimes hunt during the day more than other owls. Studies on banded Barred Owls have shown that these owls do not travel much. They are usually found living no more than a few miles away from where they were banded. Time for the second owl post of the week! Today’s featured owl is the Short-eared Owl, one of the most widespread owls in the world. It’s Latin name is Asio flammeus, translated to “flame-colored horned-owl”. Short-eared owls are sandy-colored, medium-sized owls. Their short ear tufts are so tiny they are almost impossible to see unless you are close to the owl and it’s alarmed or agitated. Their underparts are heavily streaked and their upperparts are brown with white and buff. Males are grayer than females with whiter undersides/underwings. Their facial disks are lightly streaked and whitish with blackish triangular spots around the eyes. Short-eared Owls have very short tails and round heads. Juveniles are downy, and as they start to get adult plumage, their facial disks are black with white crescents with a white “mustache” chin. Short-eared Owls live throughout most of the Northern Hemisphere, including North America, Asia, Europe, and the Middle East. They are also found in the southern part of South America and on islands including Micronesia, the Caribbean, Hawaii, and Galapagos. In North America they are residents in the American West, parts of Canada, and Cuba. 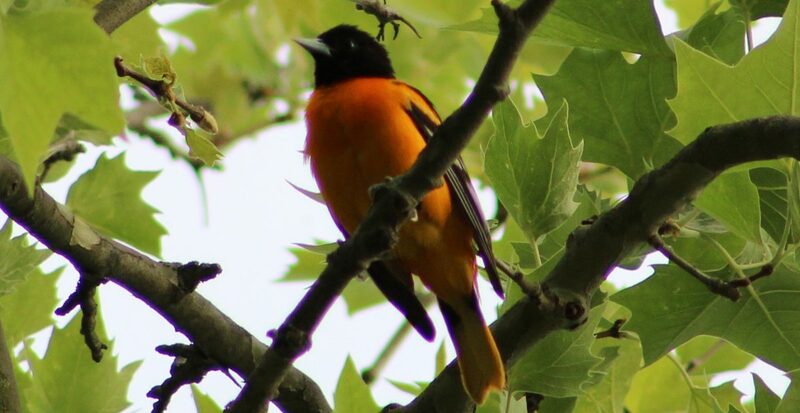 They spend the summers throughout Canada and winters in the Midwest and Northeast. Irregular irruptions can be found in the Southwest and Southeastern United States. The Caribbean population regularly invades Southern Florida. Open country, such as grasslands, marshes, prairies, farmland, dunes, and tundra. Mainly meadow voles, but other small mammals such as mice, muskrats, moles, rabbits, pocket voles, and weasels. Also known to eat large insects and small to medium-sized birds. Short-eared Owls hunt most actively during dawn and dusk, but can be found hunting in daylight. They soar low to the ground and hover over their prey before landing on it. Males perform a “sky-dancing” display which include impressive spiraling flights, diving, calling, and wing-clapping. They will start courting in late winter, but pair bonds don’t usually last for the season. Nests are usually just a small depression in the ground, but Short-eared Owls have be occasionally known to also nest in trees with Long-eared Owls. Short-eared Owls have one brood per year with the average clutch size of 5-6 eggs. However, when prey is abundant, it’s possible for the female to lay up to 11 eggs. The female incubates the eggs for 21- 31 eggs and hatching is asynchronous (meaning the eggs hatch over a number of days, not at the same time). The male will bring food to the female who will feed and brood the owlets. The owlets will usually leave the nest on foot at 12-18 days and can start to fly around 27 days. Bark calls are given by both females and males, a nasal and harsh eee-YUURK! that can be short or drawn out, or a short rik-rikr-rik!. Males hoot during courtship activities. Still widespread, but have declined by 50-80% in its North American range, mainly due to the fact that these owls are grassland specialists. They are listed as “endangered” or “special concern” in 26 states. They are still relatively widespread in other parts of their range. The Caribbean populations of Short-eared Owls have been expanding. Habitat restoration program have help populations improve. They are one of the few owl species to construct their own nests. Hawaii’s only native owl is the Pueo, a subspecies of the Short-eared Owl. Males can be extremely aggressive towards other males in the territories. They will duel by flying towards each other, locking talons and tumbling to the ground. They let go right before they hit the ground.